I often make Makhani Paneer, a vegetarian version of the popular dish Butter Chicken which tends to be a 'treat' reserved for a special meal. I realized the Creamy Makhani Sauce could be drizzled on any steamed or roasted vegetables for a decadently, delicious veggie main that's both filling and satisfying because of all the fibre content vegetables possess. 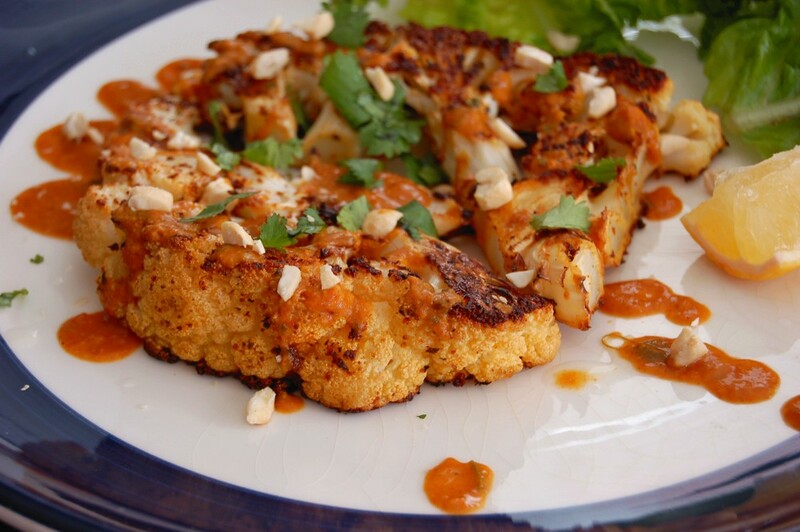 For this recipe, I cut the cauliflower into "steaks" or thick slices and rubbed on Arvinda's Tandoori Masala with olive oil. It's optional, but you can add a squirt of lemon on the cauliflower before baking it. 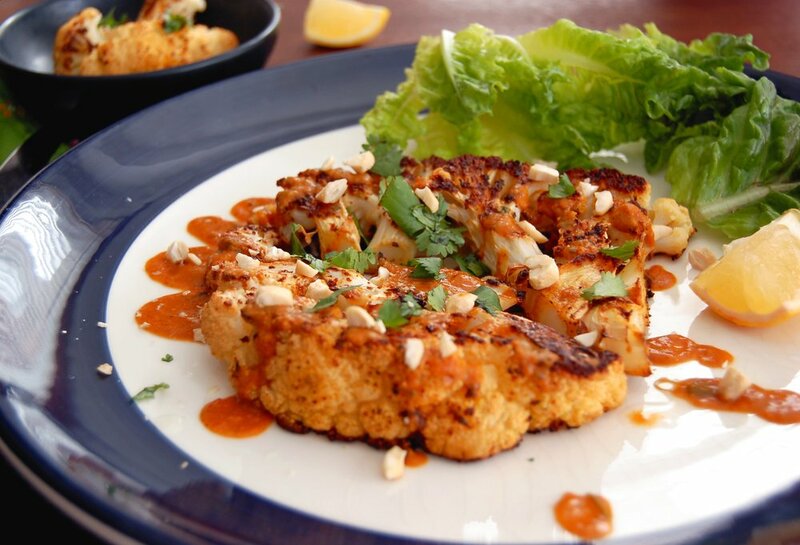 Add for the garnish, coarsely chopped cashews add a nice crunch and texture, elevating this main to a five star level! 1) Preheat oven to 425F. 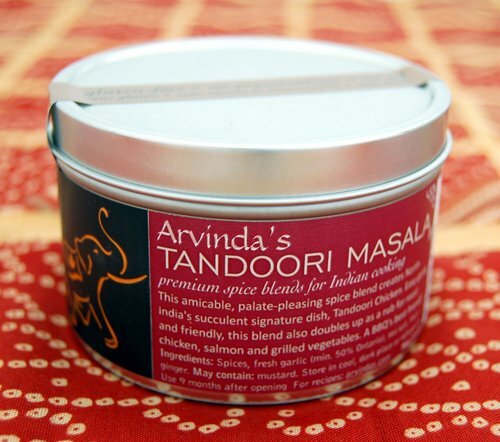 Mix olive oil with ARVINDA'S TANDOORI MASALA. 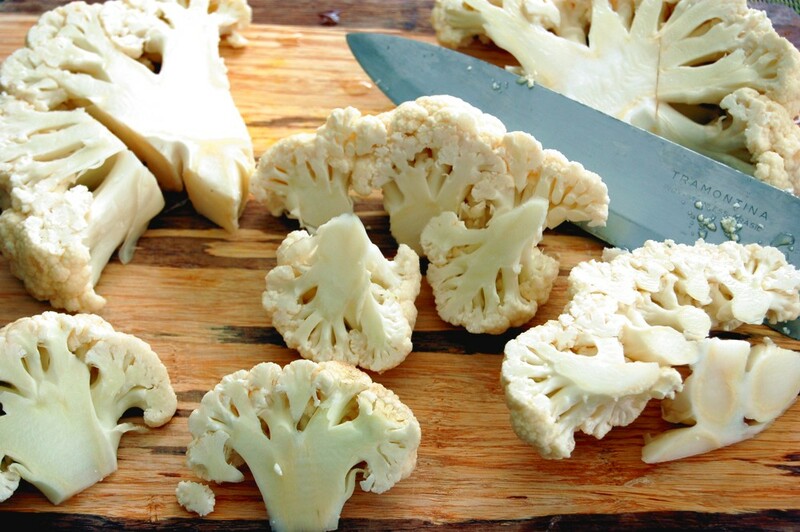 Brush onto cauliflower on both sides and place on a baking sheet. Bake in oven for 20 minutes. Flip over and bake for another 10 minutes. Remove from oven to slightly cool. 2) CREAMY MAKHANI SAUCE: Heat oil on medium-high heat. Stir in crushed tomatoes and sift in chick pea flour. Whisk to create a smooth paste. 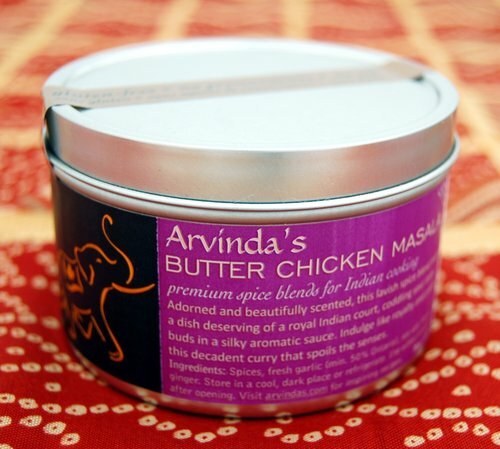 Add ARVINDA'S BUTTER CHICKEN MASALA, sea salt and sugar. Stir and cook for a couple of minutes. 3) Stir in cream and thin out with water to desired consistency (if required). 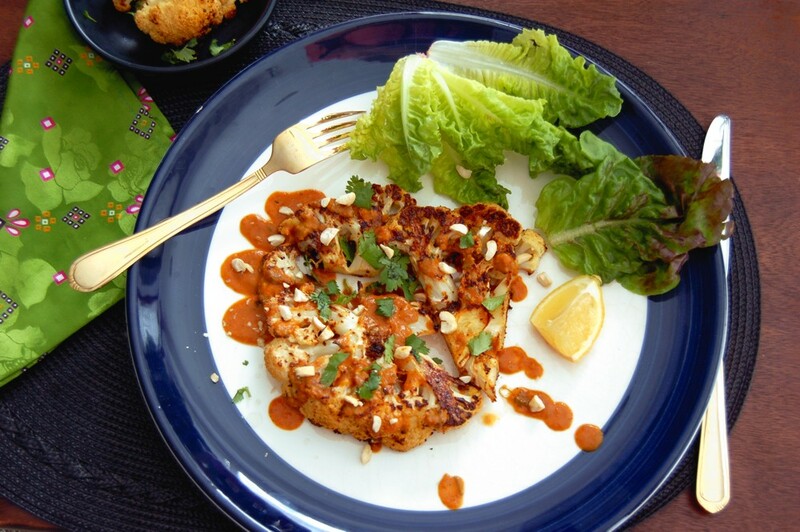 4) Arrange cauliflower on plate and drizzle on Creamy Makhani Sauce. Garnish with cilantro and cashews.